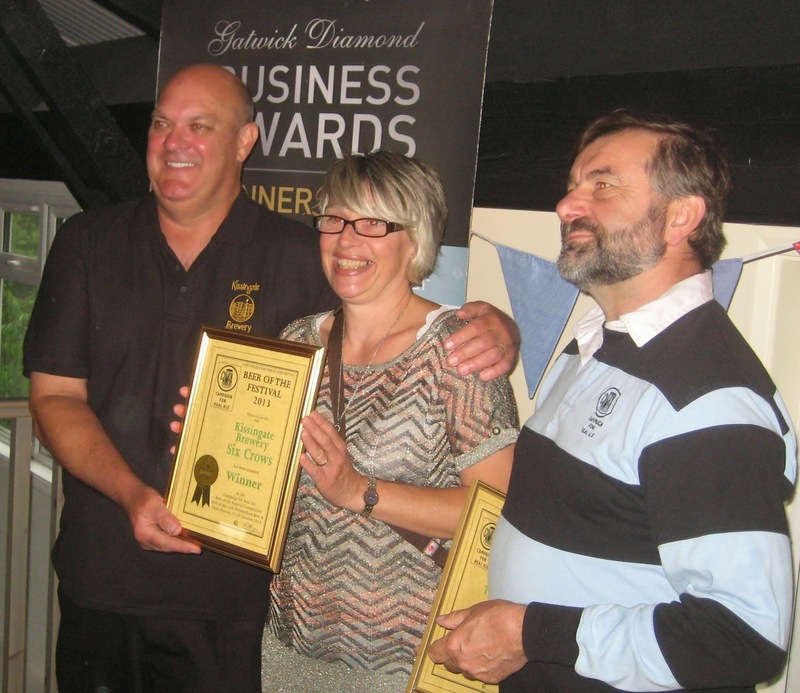 Congratulations to Kissingate Brewery and Twickenham Fine Ales. At Kissingate's Spring Festival yesterday, they were presented with three awards and four certificates between them. I was there with Richmond & Hounslow CAMRA to see Kissingate head brewer Gary receive the Beer of the Festival certificate from our most recent Twickenham Beer & Cider Festival for its Six Crows stout. 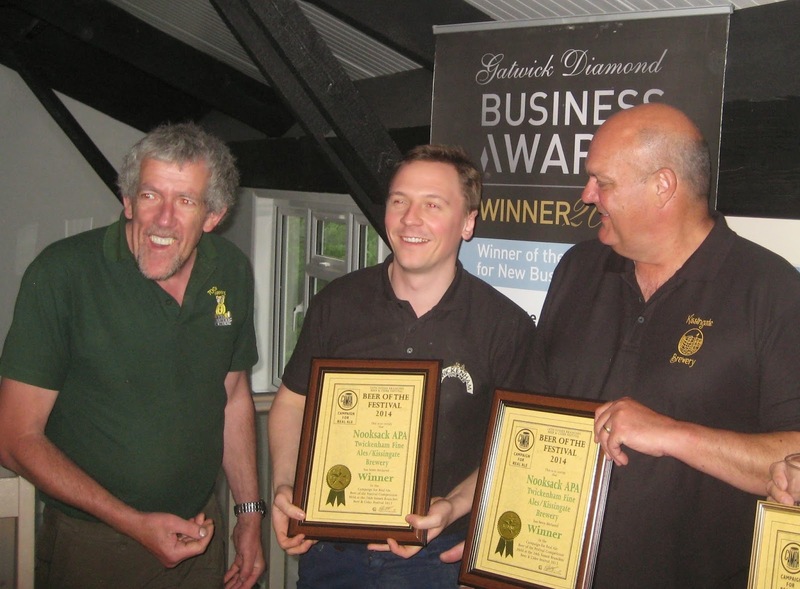 However, our chairman had also been tasked with making a second award – the Silver in the London and South East regional Champion Beer of Britain golden ales category went to Twickenham Fine Ales for its Naked Ladies bitter. Why was Twickenham's head brewer Stuart at Kissingate yesterday? Well, the two breweries collaborated a few months back on Nooksack American Pale Ale, and yesterday they also received a shared Beer of the Festival award for this from the recent Sussex Beer & Cider Festival. And yes, it was a classic English spring day – scattered sun to start, then came a mighty rainstorm to wash everyone indoors and under cover (hence the awards being done in a jam-packed brewery tasting gallery, rather than out in the air), and finally more sun so the Morris dancers could at last do their stuff.